Greenhill Village History Society was formed in December 2015, as a result of the interest in the DVD ‘Growing up in Greenhill’ – a record of village life as it was in the mid 20th Century. Our aim is to meet together informally, to work together to research, share, collate and catalogue information relating not only to the village of Greenhill itself, but also the wider area which has now become known as ‘Greenhill’. We aim to build up a resource for the community. Come along, get involved and meet new friends with like interests. Membership is £10.00 p.a. and £2.00 per meeting. The first ‘taster’ session is free of charge. Regular meetings of the Society are held on the 2nd Tuesday of the month – 2.00 pm @ Greenhill Community Library. An agenda is set for the year at our AGM which is held in December. We also hold ‘Open Meetings’ during the year. These meetings are usually held in the evening and are open to non-members. Speakers have included Peter Haddock (Greenhill Hall & farm,), John Mitchell (of Mitchell’s Wine) Caroline Dewar (the History of Graves Park) and Dan Thaw (The Oakes). In addition, presentations by the society, which derive from members’ research. 2017 – The Great Whit Walk – in partnership with the Friends of Graves Park. 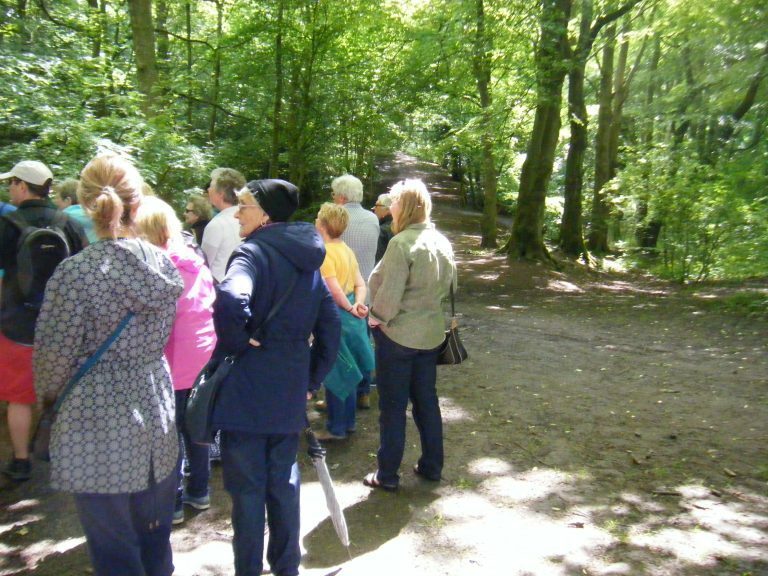 Caroline Dewar led us on this very interesting walk around the park, following the ‘Old London Road’, through ancient woodland via the Arboretum finishing at the café for refreshments. 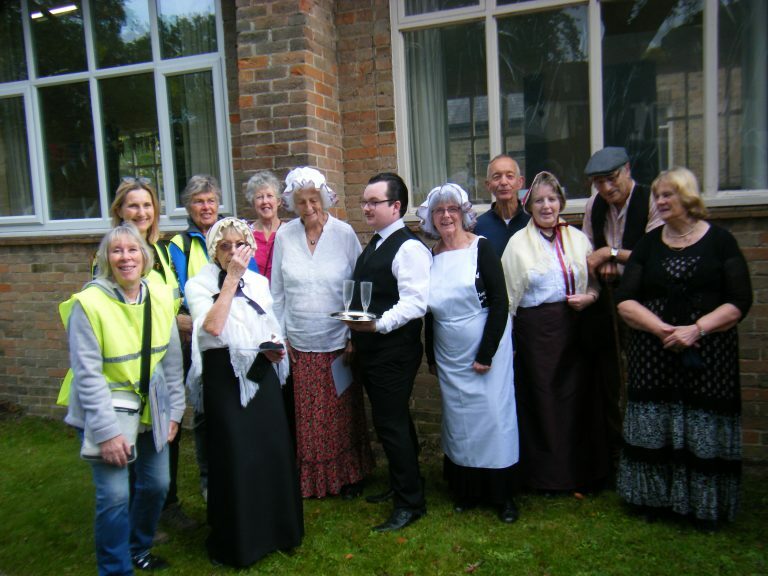 2018 – as part of the national ‘Heritage Open Day’ initiative, we organised a heritage walk around the old village. Our visitors appreciated the stops at sites of notable interest, where a more detailed history was given by Society members and ‘Friends of the Society’. We also have made links with other local organisations – Norton History Society, Friends of Graves Park, The Oakes, St Peters and Greenhill Methodist Church and are hoping to strengthen and extend these links. During 2019, members are taking part in the Norton Park project, and are busy preparing another of our presentations for October. Watch out for details. Work continues on cataloguing our Archive collection and linking with the Library’s local history books. In addition – due to popular demand and working in partnership with the Library our latest presentation ‘Now & Then’ will be repeated on October 22nd. Tickets will be available at the end of September. 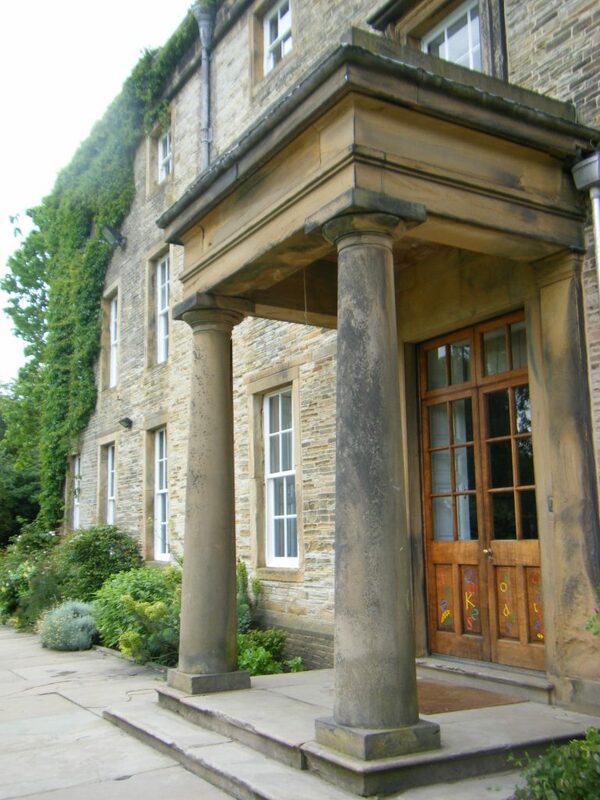 Finally, in June, society members will be visiting Beauchief Abbey. (Members only). 2017 – Visit to Oakes Park – and how this Grade 2 listed building had been sympathetically restored into a Christian Activity centre.